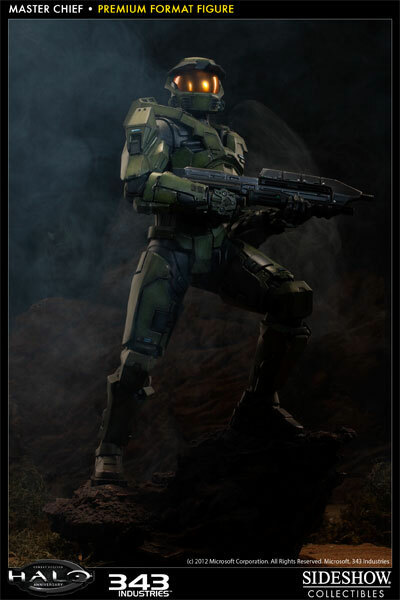 Chosen for certain key genetic markers as well as for his aggressively competitive nature, John-117 was taken from his home at the age of six and conscripted into the Spartan program. 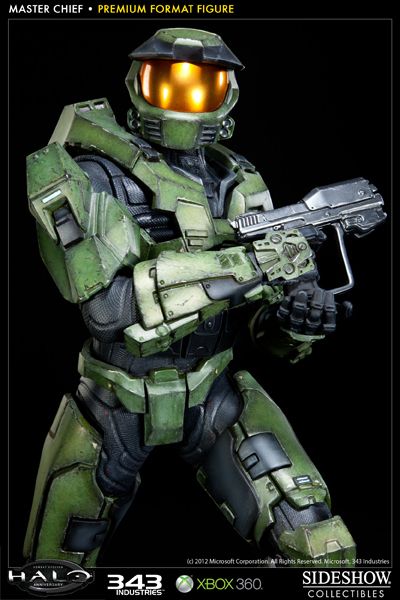 At fourteen, along with 74 others conscripts, he underwent the Spartan II augmentation process to enhance his speed, strength, skeletal structure, intelligence, memory, reflexes and visual perception. 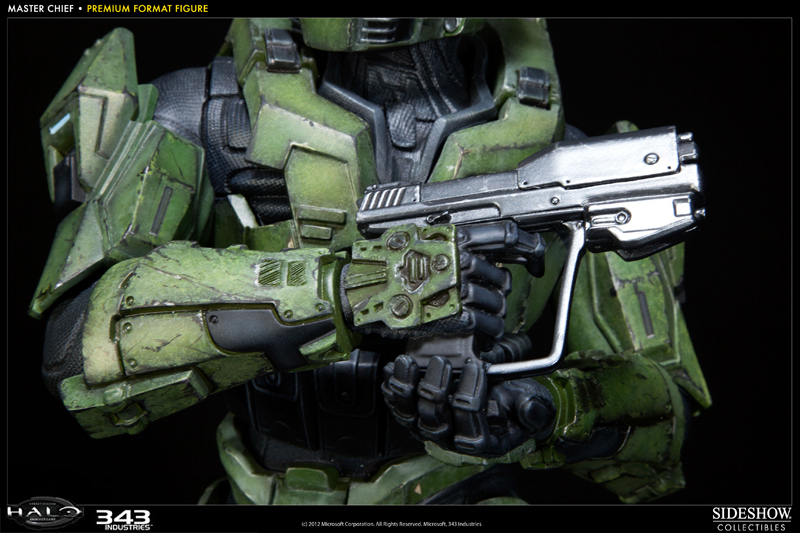 Only 33 Spartans emerged from the augmentation process intact. 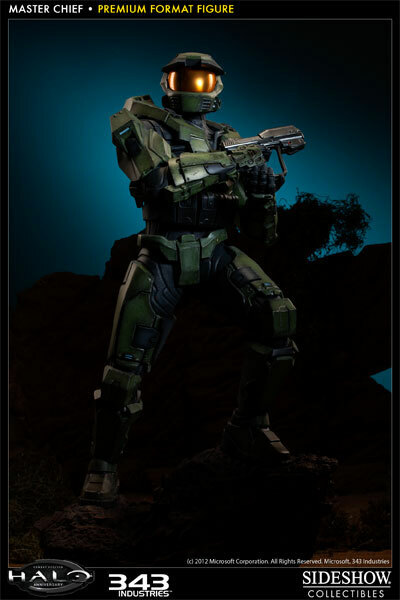 John-117 quickly became the acknowledged leader of the Spartans, rising to the rank of Master Chief Petty Officer in the UNSC Naval Special Warfare Command. 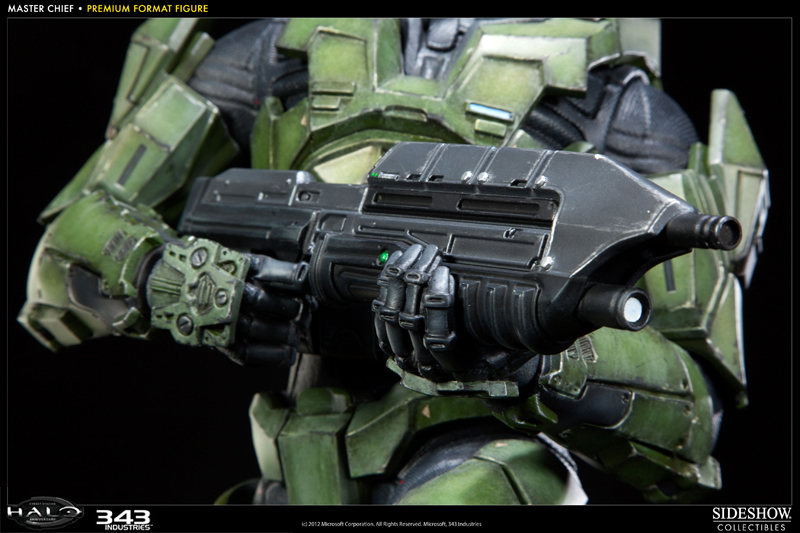 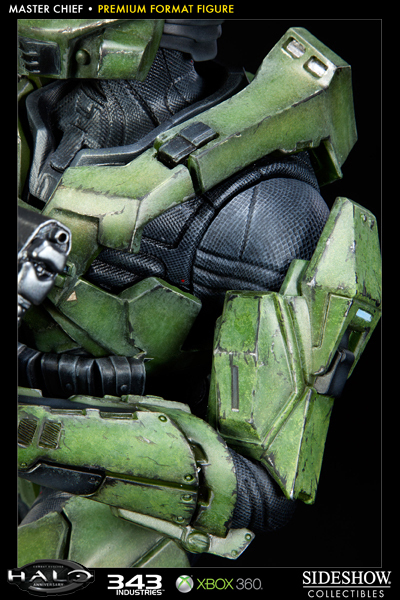 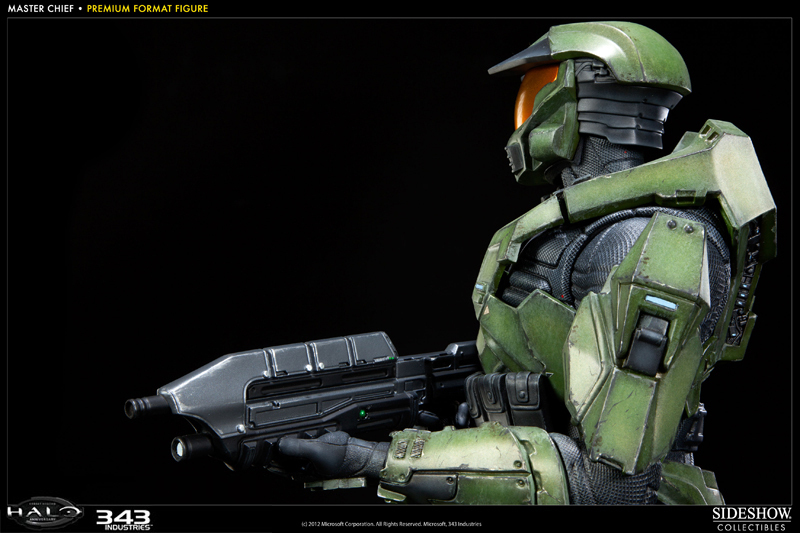 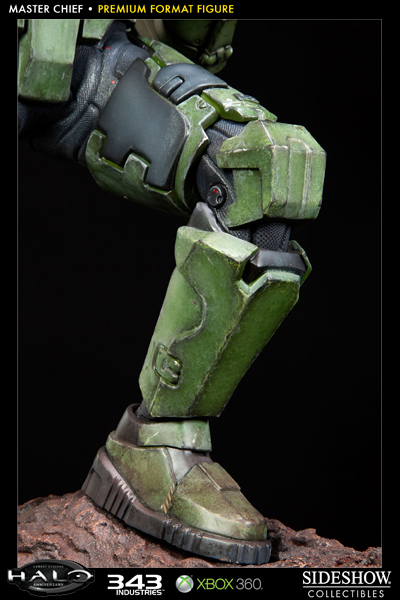 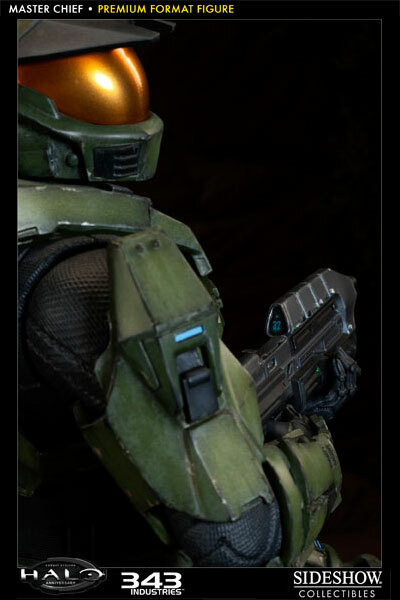 Master Chief's Mjolnir Mark V Powered Assault Armor consists primarily of a titanium alloy outer shell over a titanium nanocomposite bodysuit. 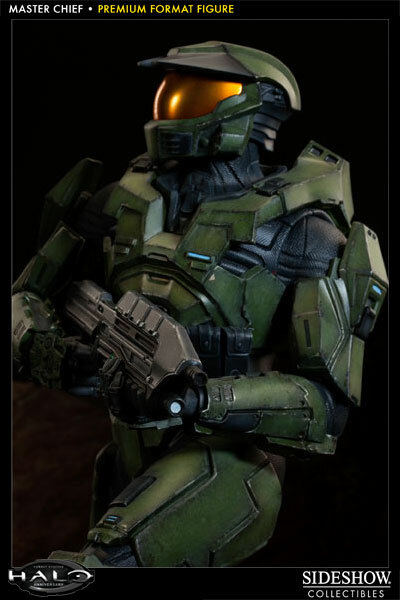 The Mark V's upgraded functions include an integrated neural lace, enabling the suit to carry a fully-functioning Artificial Intelligence to enhance the abilities of its user. 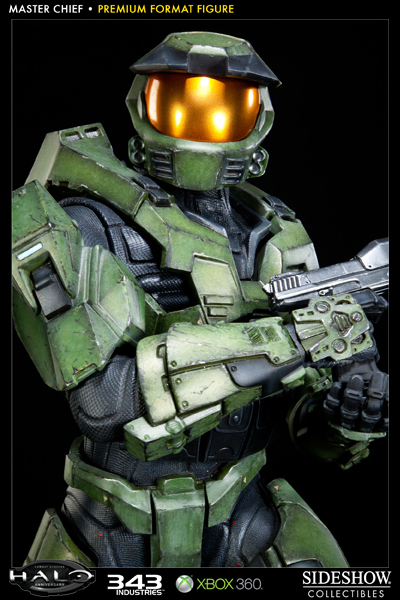 The Spartan's lifting capacity is doubled, and reaction time is improved by a factor of five, making thought and motion almost instantaneous. 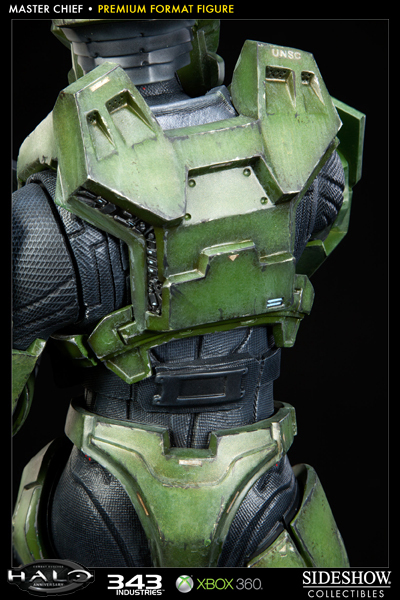 Additionally, a self-recharging shield generator was installed reverse-engineered from Covenant technology and the suit's titanium helmet includes an integrated Heads Up Display. 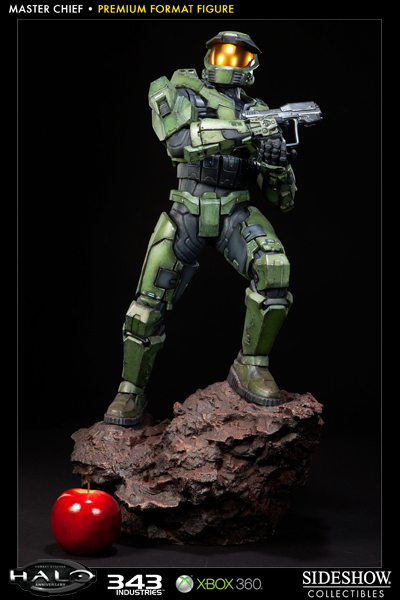 Master Chief participated in nearly every major conflict by human forces of the Covenant, including the Harvest Campaign, the Battle of Jericho VII, the Raid on the Third Fleet Of Glorious Consequence, and the Fall of Reach. 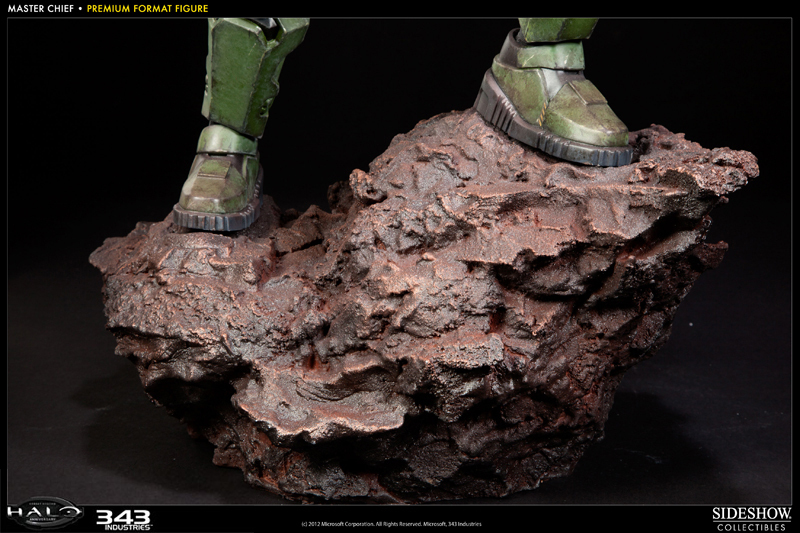 It was while retreating from Reach aboard the UNSC Cruiser Pillar of Autumn that Master Chief was thrown headlong into the Battle of Installation 04...known more commonly as Halo. 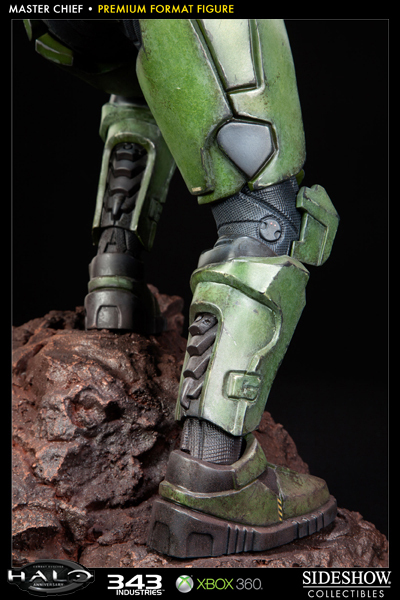 To his fellow Spartan II warriors, Master Chief is a leader. To the soldiers of the UNSC, he is a demigod of war, an inspirational titan on the field of battle. 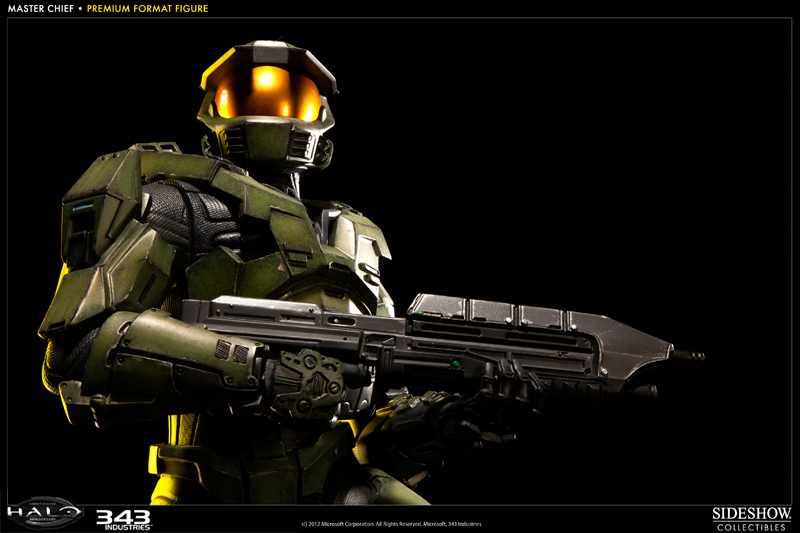 A hero to humankind and a demon to The Covenant, he is humanitys best hope in the face of total annihilation.